Li Wen was born in July 1968 in a beautiful town of Chong Qing city. At the age of fifteen, determined to become an artist, he passed the entry exams at the Technical College of the Sichuan Academy of Fine Arts and studied there for four years. He then proceeded to study at the China Academy of Art(Zhejiang Academy of Art) in the Oil Painting Department. One year later, thanks to his excellent grades, he was offered a full scholarship to study in Russia. At the Moscow highest academy of crafts also known as the Stroganof Academy, during his courses, he discovered many materials and processes but it is his interest in stained glass and mosaic that would influence his later works. After obtaining his masters degree, he returned back to China to teach at the China Academy of Art in the Oil Painting Department for four years and in 2003,he set up the mural painting department. One year later, he had the chance to go to Prague as a visiting scholar to study at the Academy of Architecture and Design under the supervision of Professor Kopecky. This experience was a crucial turning point in his career and his introduction in the glass art field. By that time he had already started setting up a glass studio at the College of Public Art, a new campus of the China Academy of Art. In 2005,his research subject《Glass Material and Form》 was approved as national youth research subject. He officially received the support of the academy to complete the setting up of the studio. 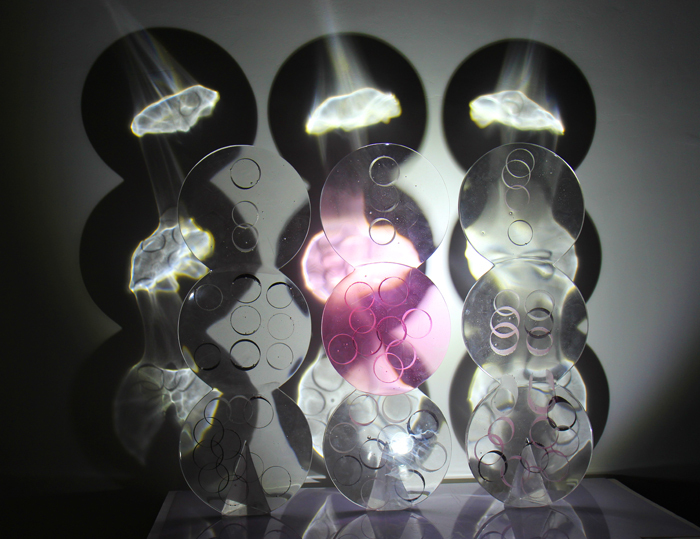 By 2006,the glass studio welcomed its first batch of Bachelor students and has been doing so every year up to now. In ten years of endeavor, he has been passing on his passion for glass art to more people, been devoted in promoting glass art in the society and doing his best to develop the studio and glass art field to become China's top platform for glass art. Curriculum Vitae of Li Wen. Born on the 6th of June 1968 in the City of ChongQing. In 1987, he graduated from the Technical College of the Sichuan Academy of Fine Arts where he had been studying from 1983. In 1988, he was admitted to the Fine Arts Academy of China to study Oil Painting. In 1989, he obtained a scholarship to study to the Soviet Union. In 1990, he studied in the highest academy of crafts of Moscow,the Stroganof Academy. In 1994, he obtained his bachelor’s degree in commemorative and decorative arts(mural painting). In 1996, he obtained his master’s degree in commemorative and decorative arts(mural painting). In 1996 he went back to China to teach as lecturer at the Fine Arts Academy of China. As from September 2002 he worked as senior lecturer and Deputy Director of the Department of Public Art of the Academy of Fine Arts of China. He was also the founder of the mural painting department. In 2004 he went to the Czech Republic as a high-class scholar where he studied in the studio of internationally well-known professor Vladimir Kopecky at the Academy of Architecture and Design in Prague. In 2006 he was appointed member of the Sculpture Council of Hangzhou City. As from 2007 up till date, he was made Deputy Director of the Ceramics and Crafts Department and director of the glass art studio. He founded the glass art studio of the Fine Arts Academy of China. 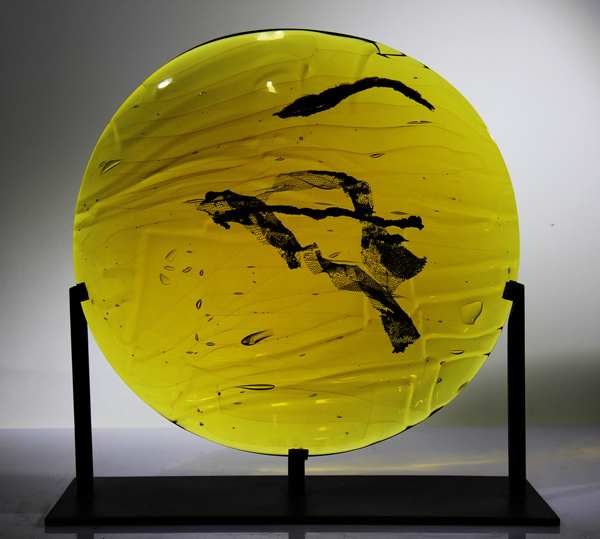 He has numerous works that have been collected all around the world and in 2010/06, one of his glass artwork has been collected by the Shanghai Expo under the Chinese Pavillon VIP hall. 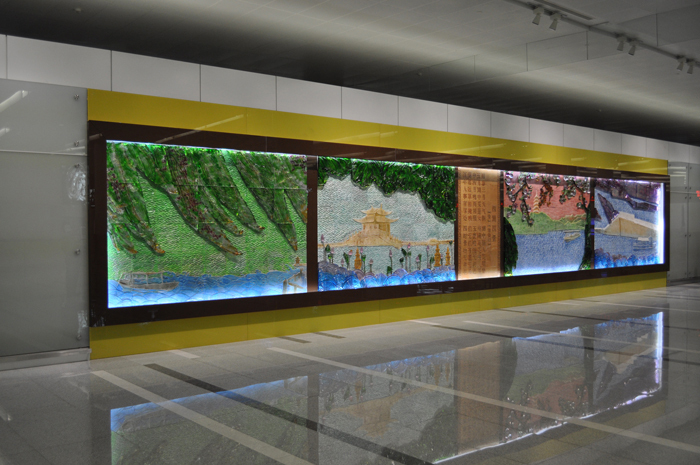 He also has been doing public glass art works for hotels, temples and his newest work completed in July 2010 has been for the new arrival hall of the Hangzhou international airport. 2012 has designed and completed the largest glass public art of China for the Hangzhou,West Lake Cultural Square. In 2013, he curated and organized the first glass art exhibition for the Hangzhou Art Expo 《Transparent Philosophy》. In 2013, he obtained the Jin Qi Lin Hua Song Art and Design Competition Lifestyle prize. 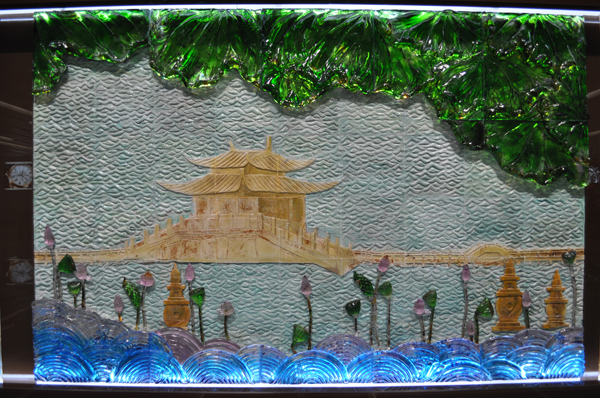 In March 2014, he participated in the 《1895 China Contemporary Craft Art,Glass Art Exhibition Series》in Jiangsu,Nantong. In 2014, he curated and organized the second glass art exhibition for the Hangzhou Art Expo 《Transparent Philosophy》.